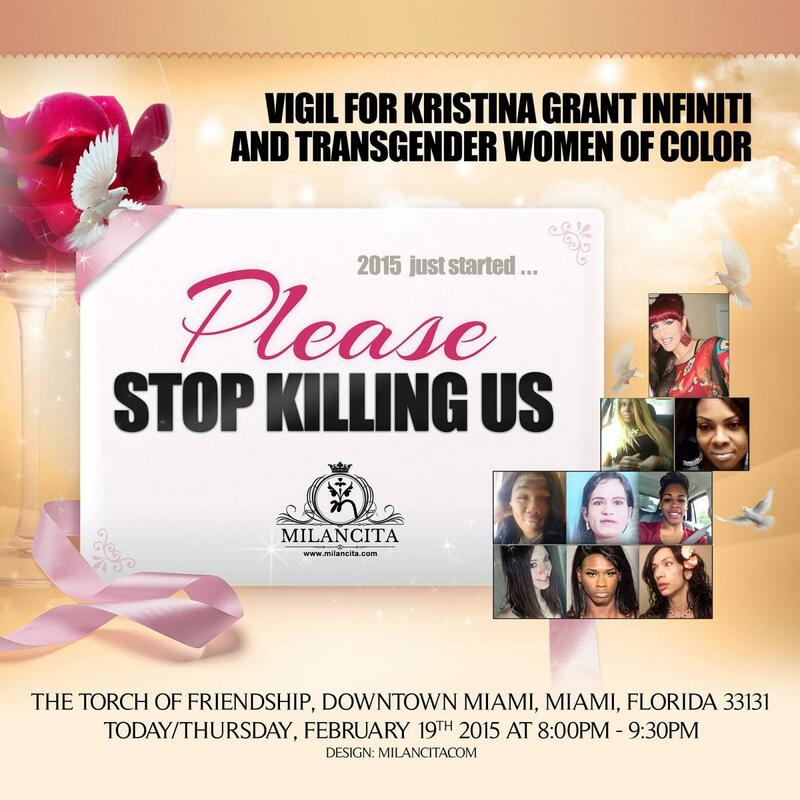 MIAMI, FL – On Thursday, Feb. 19th, transgender activists, allies, and loved ones will gather to honor the life of Kristina Grant Infiniti. Infiniti, a well-known transgender performer and artist, was found unresponsive in her home Sunday. Police are investigating her death as a homicide and haven't given any information on possible suspects. Kristina's death marks the seventh trans woman to be reported murdered in the U.S. in 2015, in what the National Coalition of Anti-Violence Programs has called an "alarming, fatal epidemic of violence against transgender and gender-nonconforming women, specifically transgender women of color in the United States." With the increased visibility of the transgender community, an alarming increase of violence is surfacing across our nation, especially targeted against gender variant people of color. TransAction Florida and Equality Florida denounce this violence and call upon all Americans to do the same. The killings must stop!